Government on August 28 said Rs 22,000 crore have been deposited in over 17.5 crore bank accounts within a year of the launch of the Pradhan Mantri Jan Dhan Yojana, the largest financial inclusion scheme in the world. "At present, more than 17.5 crore bank accounts have been opened under the Pradhan Mantri Jan Dhan Yojana (PMJDY). More than Rs 22,000 crore have been deposited by the people in their bank accounts opened under the PMJDY," the Finance Ministry said. 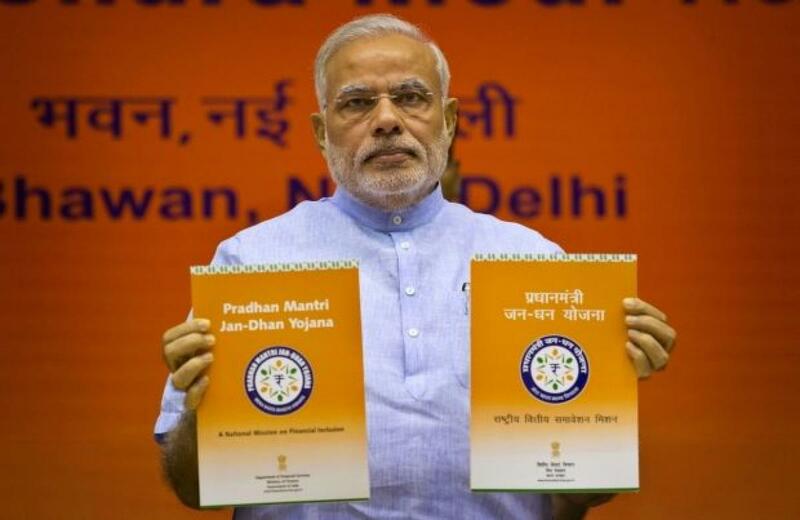 Prime Minister Narendra Modi had launched this ambitious scheme of financial inclusion on August 28, 2014. The Finance Ministry in series of tweets said the target of opening one account per household was achieved by January 26, 2015, barring few areas of Jammu & Kashmir and left wing extremism affected districts. "PMJDY, the biggest financial inclusion initiative of the world launched by Prime Minister Narendra Modi on August 28, 2014, completed its first year today," the Ministry said.